I just put together some of my thrift store finds, and wanted to share them as a greeting card. 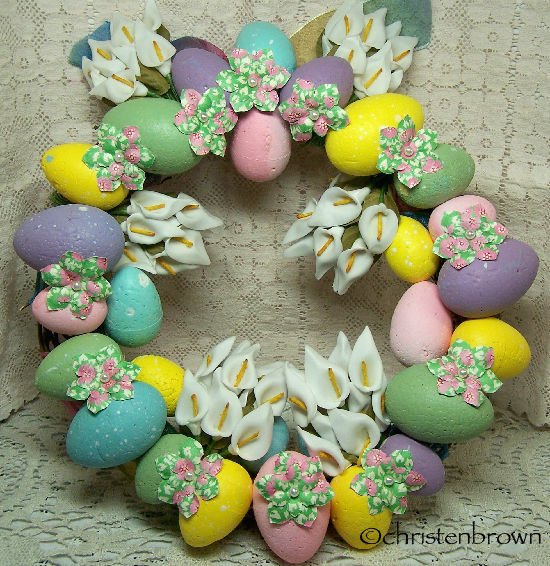 Here is a wreath that I re-made, because all of the Styrofoam eggs fell off the original wreath. I added in some ribbon for the glue to stick to, and voila! A few paper flowers and some lilies did the trick. 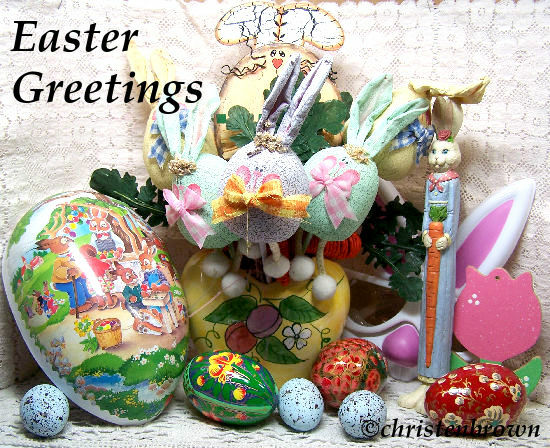 I hope that all of the eggs you find are filled with chocolate, and good stuff. Happy day to all….